Dolores Braadt, 85, of Staten Island, NY, passed away peacefully at home on March 26, 2017 surrounded by her loving family. Born August 20, 1931 in Staten Island, Dolores graduated from Port Richmond HS. She was married to her late husband, George W. who predeceased her in death in 2011. They were married for over 66 years. Dolores worked as a telephone operator for N.Y. Phone Company. She was a devout Catholic at St. Mary’s of the Assumption where she volunteered her time at the church and school. 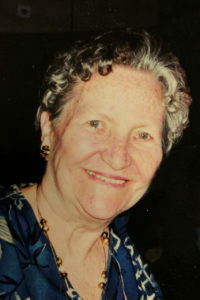 She enjoyed gardening, shopping and especially spending time with her children, grandchildren and her great grandchildren. Dolores leaves to cherish her memory, her beloved children, Robert (Patricia) Braadt, George Braadt and Heather Locarro. Her cherished grandchildren, Jessica, Kristy, Jenny (Babydoll), Anthony, Vanessa, Jorge, Cecilie, Clint and Carlos; loving great grandchildren, Isabella, Gabrielle and Alessandra. Calling hours will be held at Cherubini McInerney Funeral Home in Staten Island on Wednesday from 2-4pm & 7-9pm. A Funeral Mass of Christian Burial will be held on Thursday at 10:00am at St. Roch’s RC Church. Burial will follow at Fairview Cemetery.